Back before there was home video, there was Super 8, Kodak’s home movie system which used film cartridges to record sound and moving images, ready to be played back onto a giant projector screen at home. So pervasive is the aesthetic of Super 8 that even today, fake home movie footage in TV shows and movies is usually degraded to look more filmic. But this isn;t a post about nostalgia. It’s a post about a sweet new digital cartridge – the Nolab – that brings old Super 8 Cameras back to life. 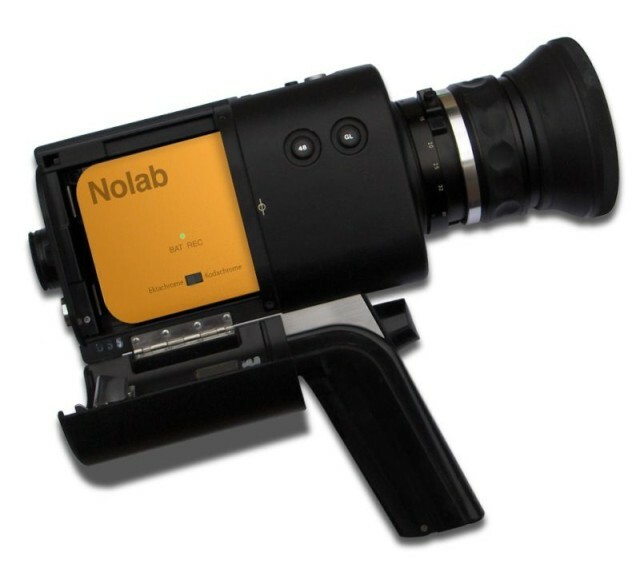 The Nolab will – when available – shoot 720p video onto an SD card, and can apply faux film effects in-camera. And it’ll work with your old cameras thanks to a special sensor design that will sync with the shutter in a Super 8 camera at up to 60fps. I’d love to see this actually in production, if only so I would have a reason to buy one of those gorgeous old Super 8 cameras I see sitting useless and unloved (and very cheap) at flea markets.